Behind any artistic works which depict the Holocaust, there is always the issue of representation. How can the massacre of six million Jewish Europeans be portrayed sensitively and accurately? Is it even appropriate to attempt it? There is a huge ongoing critical debate surrounding these questions. Some argue that representing the Holocaust in any way is dishonouring to the victims, as it can never be properly achieved. They insist that this kind of treatment renders the horrors too familiar, and the tragedy becomes overshadowed by style or opinion. Others argue that to not tell the story at all is dangerous, that the truth must be known and mourned, so that it cannot happen again, so that the victims are not forgotten. Steven Spielberg must have been privy to these arguments, which usually plays out mostly in academic circles. He delayed the development of Thomas Keneally’s novel Schindler’s Ark and also debated his involvement as director, fearful of not doing the story justice, of misrepresenting. Amongst other triggers which finally propelled him into action, but arguably the strongest, was his desire to undermine the attention that Holocaust deniers were receiving in the press. He decided that a wide-reaching and accessible medium for the story was necessary, let alone appropriate. 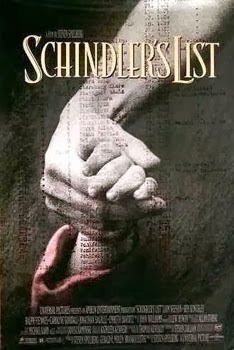 And so Liam Neeson was cast as Oskar Schindler, a German and Nazi businessman in Krakow, happy to exploit the cheap labour of the SS-enslaved Polish Jews. He makes his fortune in enamelware, running factories near the Jewish Ghettos, where we see the suffering, dying hopes and the enforced impoverishment of the inhabitants. Slowly, however, as Schindler begins to see their suffering for himself, he begins to admit, silently, the discomfort of his conscience. In a gradual realisation of his humanity and outrage, Schindler becomes possessive of his workers, demands their removal from labour camps, and ultimately becomes their saviour. Ben Kingsley plays his Jewish accountant, Itzhak Stern, who is at first a distant employee, but soon becomes a trusted accomplice, working from within the camp itself. Their relationship indicates Schindler's emotional progress, as the dependency becomes more complicated and friendship is born. Spielberg was adamant that Schindler’s (true) story not hinge on an epiphany, but rather that his redemption would be gradual and ambiguous, as indeed it must have been in reality. This negates cheap sentiment and cuts down to the centre of human empathy - being moved by the suffering of strangers. Good and evil are absolutes in the film, but only one key character is specifically either. Ralph Fiennes plays the sadistic SS officer Amon Goeth, who oversees Plaszow concentration camp. He kills arbitrarily, without empathy. Although he is unquestionably evil, he is still human, as Fiennes gives the character an intricate emotional depth. Of course, this only increases our disgust at his actions. There are many other named characters and talking parts in the movie. Schindler’s change of heart provides the story-arc progression, but the individual tragedies of the persecuted and murdered Jewish characters provides the emotional centre of the film. The Holocaust is the focus, and Nazi anti-Semitic policy is unequivocally and unambiguously evil. Many scenes are barely watchable, as Spielberg intended, and there is a focus on several Jewish families to make the suffering more personal for the viewer - we are not afforded the comfort of distance. We know the mothers and daughters being torn apart from each other, the women who fear the gas chamber, the man who worries constantly for his wife. 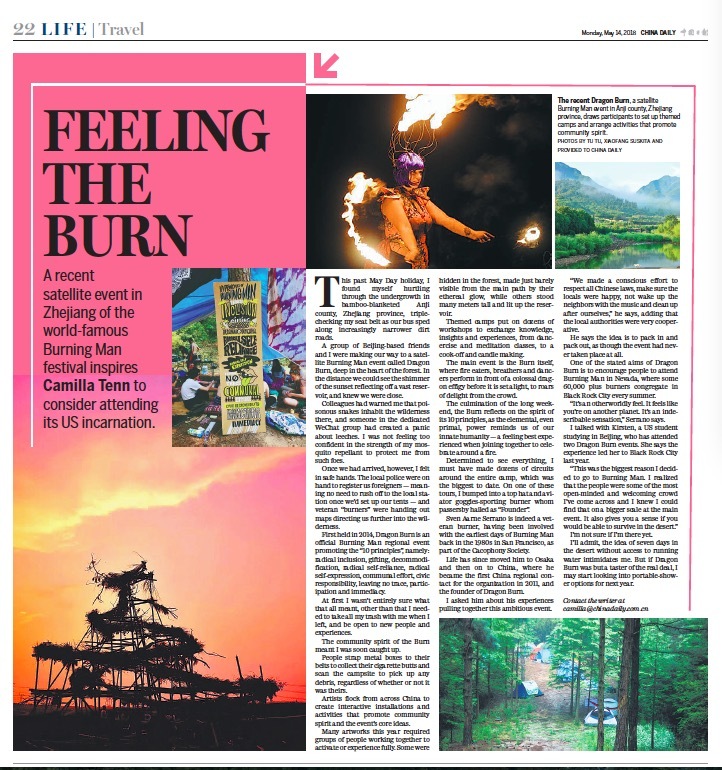 We even know the owner of the little red coat, whose tiny body is wheeled to the mass pyre. We see their suitcases pulled apart and sifted for valuables, the piles of family photos thrown together into an anonymous pile, their identities lost forever. All this makes the violence, hatred and suffering hit home, and one can only wonder how one human could ever do this to another. 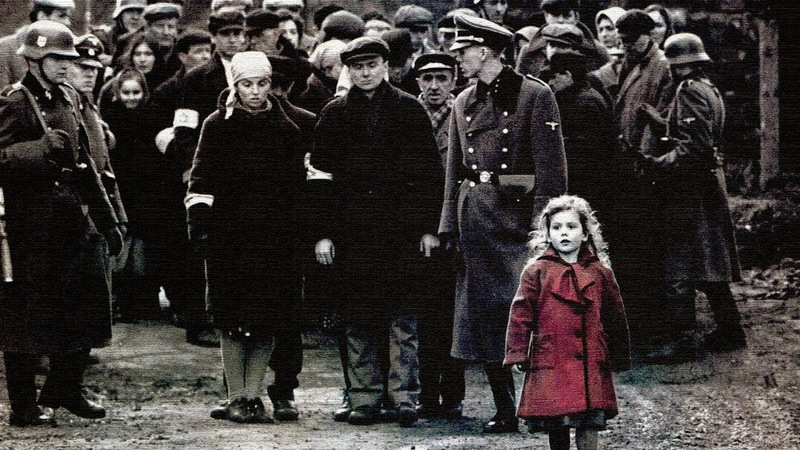 Although critics might complain about discussing the style of such a film, Spielberg’s decision to shoot Schindler’s List like a documentary, not storyboarding the action but letting it play out before the camera, has allowed a broad and accessible view of and telling of this story. This film is moving, sensitive and, yes, necessary. While representation is limiting, this is a story we cannot afford to forget.